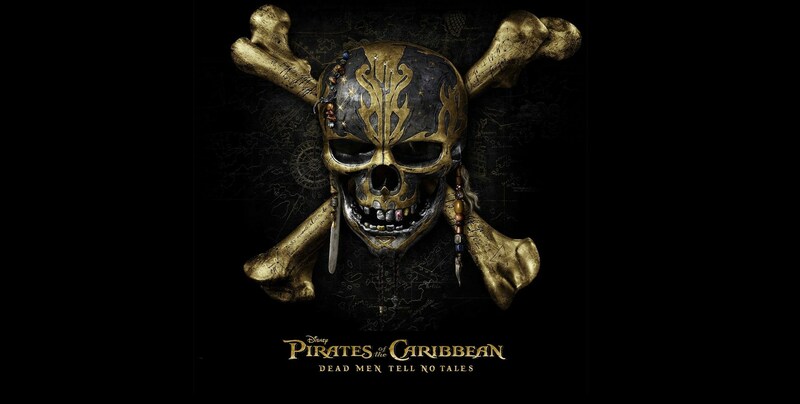 Norwegian directing team Joaquim Ronning and Espen Sandberg as well as screenwriter Jeffrey D. Nathanson appear to be addicted to chaos in the fifth entry of Disney’s Pirates of the Caribbean franchise Dead Men Tell No Tales. They even crowd the IMAX-imized screen with no fewer than six schooners vying for the spotlight—which leads to an excess of captains, too. We open on a determined boy at sea who dives deep into the ocean towards a particular shipwreck. Once aboard the rotted and crumbling deck, the water drains away and a shambling figure appears. Will Turner (Orlando Bloom), his face and body showing the ravages of death and undersea nibblings, tells his son to go home, but the boy instead promises that he won’t rest until he ends the curse that holds his father beneath the waves. Some years later the now older Henry (the Australian Brenton Thwaites) appears no closer to completing his promise, but a chance meeting with two wildly differing personalities puts him back on track. A ship he’s working on is attacked by ghostly pirates, and the undead Capt. Salazar (Javier Bardem) spares his life so that he may tell the tale. The crack-faced demon also tells him to find Jack Sparrow (Johnny Depp) and warn him of the coming reckoning. Henry then crosses paths with a saucy horologist, Carina Smyth (the British Kaya Scodelario). 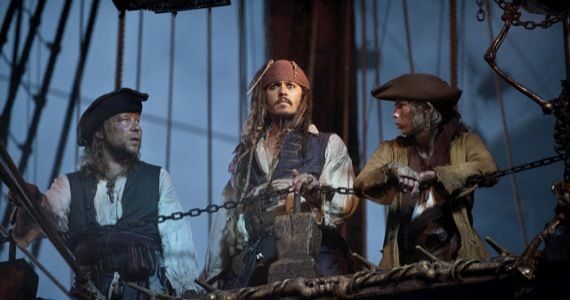 They partner with Sparrow in seeking Poseidon’s trident so Henry can break the curse that has exiled his father and eventually run into another old friend, Captain Hector Barbossa (Geoffrey Rush). That the newcomers don’t engage in a romance is as original as “Dead Men” gets. Much of the two-hour- plus running time is eaten up by elaborate stunt-filled centerpieces. One has Sparrow repeatedly avoiding a guillotine’s blade by the narrowest of margins while Carina manages to avoid death by hanging. Another goes all Cecil B. DeMille with the parting of the ocean while the previously mentioned ghost sharks lack “Jaws”-like snap. The CG is fine of course, albeit less than memorable, but there’s so very little that pops here. The vast majority of the action occurs at night with everything bathed in the artificiality of blue moonlight. Those who go to see “Dead Men Don’t Tell Tales” might just recognize that hollow feeling as they leave the theater.